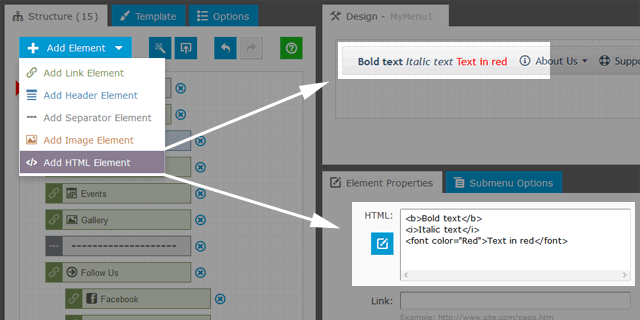 Menu elements can now be of five types: Links, Headers, Separators, Images, and HTML elements. The HTML element is the most versatile element in Menu Generator. It can include custom HTML code, icon and link (URL) to the web page or document. It is no secret that the menu is the most convenient, simple and fast way to navigate. Also, existing research shows that most people look for a search box even if a website consists of only a few pages. That's why a combination of navigation menu and search input field is so important to the success of your website. This example shows the navigation menu with the search box on the right side of the menu bar. 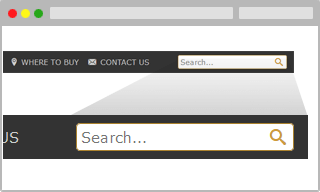 To provide a better user experience, the search box has a drop-down menu with relevant links. 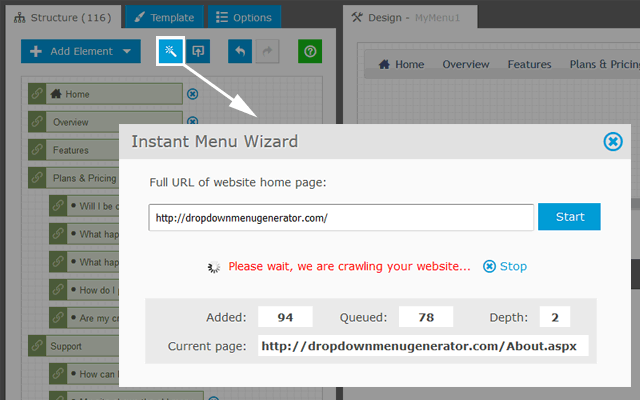 This new tool crawls your website, extracts the links and automatically creates a menu structure. This method now includes the third parameter 'Submenus'. If it is specified, the custom CSS class is applied to the Submenus. If the third parameter is empty, the custom CSS class is applied to the menu bar.